Parting with your smartphone is not an easy thing to do, and let’s face it, why would it be? We use our phones every day, and there is an app for almost anything whether it’s health, finance, lifestyle, food, or games. Entrepreneurs are starting to figure that out and are bringing their business to you, through your phone, by developing apps for their businesses. Apps are an online, mobile convenience for users rather than a website because they offer easy usage and are quicker in getting what you need. Business Insider mentioned that the monthly usage of mobile apps in the US is more than triple the usage of mobile websites. Also, researches have shown that developers earned over $20 billion from app sales last year. A mobile app is a great way to enhance brand marketing and increase revenue so let’s get down to business, how much will it cost to build an app? Many factors affect the cost of an app, that are crucial to developing it. These costs can be as low as $10,000 or as high as 1 million dollars. But first, let’s find out more about why a mobile app is essential to a business and what are the factors of developing one for your business. It gives your customers easy access to your product or service whenever they need it by making it mobile-friendly. This way, whenever they need it or think of anything relevant, your product will be right in their hands. They can reach you or your services at any time without needing to change devices, call you, or go down to your office. This will strengthen your customer loyalty and give you a chance to offer exclusive discounts for online users. It generates more sales because it gives customers another portal that is more convenient and easier to get to you. Your customers can buy your products without needing to go to your website or be interrupted by ads. And so, this is a vital marketing and sales portal. An app will boost your brand recognition. When customers are interested in your business, this will get them to download your app. It will be in front of them whenever they’re on their phones, and this will urge them to click on it and explore. They’ll tell their friends about it and will easily be able to show it to them, getting them to download it too. In order to start building an MVP, a prototype for your startup there are two main things to start with when considering cost, development and time. The development that you’re going to need for the app and the number of hours put into it. There isn’t just one factor that is more important than the other that set the cost; however, you can get an estimate of the cost according to your needs. Here are the 6 questions you need to ask yourself before building an app to get the best estimate. What type of app do you need? There are three different types of apps to look into, the best being the native app. A native app is made specifically for a smartphone system and uses the same programming language as the platform. They are the fastest and have a wide range of features and have access to your phone features like the calendar, photo album, and so on. Native apps are advanced and the most expensive because they need a remote web server to store data and API’s. The price range is between $10,000 to $50,000 because they need to be designed in separate versions to support separate platforms (iOS, Android, Windows). They can be designed with simple or complex functioning, and are usually used for business or education apps. A hybrid app or a cross-platform app because it works on both platforms (Android – Apple) is less expensive. Because it doesn’t require an API or web server, all the data is stored on the app and is usually displayed in the form of apps. It doesn’t have access to your phone features which can be a problem if you need the camera, address book or other function. This app type doesn’t require much development and costs between $1000 to $5000. The third type is a gaming app; it is the most popular app type. The cost of the app can reach up to $150,000, and it depends on the complexity of the games. Adding a gyroscope feature alone can cost over half the total. Other features like 3D, virtual reality, and more functionality will add to the cost. This question will define if you want to launch your app on Apple devices, Android devices, or both. Many companies start by launching an iOS app first because it is developed faster and is cheaper. An Android app takes twice as long to develop than an Apple app because of the multiple Android devices, with various screen sizes. And so, the cost is higher. So even though both platforms have a similar price rate, Android is more expensive because it takes more time developing. You need to study the market and know your target users before choosing which platform to start with. For example, in the US, iPhone users are more than Android users but if your target market is Asia, Europe, or Africa, Android users have a wider user base. Your app must be approved by App store (Apple) before being launched online. This guarantees apps are of higher quality and more secure. Making an app for one version can start at a range from $3,000 to $10,000 (depending on development time) but launching an app on both platforms will cost a lot more so it basically depends on your budget. Who’s going to develop your app? Developing an app is mostly a team effort because it is tough to find someone (affordable) that can do it all. You need developers, designers, project managers, testers, and so on. There are three options to consider when hiring for mobile app development, and each depends on the complexity of the app, your budget, and quality. This option is valid if you want to assign this task to someone within your business instead of outsourcing the service. However, you will need to have a group of individuals on it if you’re planning to expand and update your app. This method isn’t commonly preferred because you will be committed to paying stable salaries to a full-time team, not hourly rates. This may be the most popular option for its affordability and convenience. However, you need to be super careful with hiring freelancers to guarantee the level of quality you desire, in the shortest time possible. The low cost of freelancers isn’t always a benefit; the cheapest may also mean poor quality. There are many freelancer platforms to look into, like upwork.com or freelancer.com but freelancers come with a list of pros and cons. From the pros, they are the most affordable when it comes to developing. Freelancers in North America can go as low as $50 per hour or as high as $250 per hour. However, freelancers in Europe, Asia, or India can go as low as $25 per hour. Freelancers can be unqualified or have no experience with this type of app which can lead to wasted money and no results. Carefully choose a freelancer with a proven work record and thoroughly discuss the project with them from the start, with a timeline and budget in mind. Be sure you’re making the right hire to avoid unnecessary costs. This is by far the safest option yet the most expensive one. Hiring an app development agency means you’ll get a whole team of experienced developers and designers to work on your app. It is their specialty, so quality is guaranteed. However, development agencies charge from $200 – $300 per hour and developing an app can take up to 6 months so the numbers will add up. Nevertheless, there are small and large development agencies; smaller agencies have a team of around 3 – 10 people and may be less experienced than larger agencies but still deliver good quality if it’s a simple app without many features. The features you want in your app are one of the most important factors to define the overall cost and development time. Besides the basic functionality, an app consists of a set of features, not just one. However, we can’t put a price per feature because that will depend on the app and how advanced the feature is. Appster and SavvyApps, major development agencies stated that the average cost of an app is from $80,000 to $250,000. However, creating a simple app with no web server or API can cost around $10,000. Here are some common features that can add up to your basic app cost, but enhance your app. User login: This is very popular in apps today; it is the registration to log into your account on the app. It can be a simple email login or a social media login, where you sign up with your Facebook, Google, or Twitter account, this type is more expensive. Social login is preferred because it gives you useful info that you can use for marketing purposes. Profiles: Some apps have profiles, some don’t. Usually, if you have a user login set up, a profile is required. If you’re using the social login, your info will automatically be updated into your profile. Third Party Integration: This allows you to share info from your app with other apps, like Facebook or Twitter. Push Notifications: This is a great way to keep your customers updated with any new offers or app updates needed. They can be in the form of text or images. Search: This helps the user easily navigate through your app and get where they want without opening many tabs. Geo-location: This is based on your phone’s GPS; it is used by transportation apps like Uber or restaurant apps to pinpoint a location. Chat/ Messaging: This allows users to interact with each other and easily interact with support from your end; this increases customer engagement with the app. Ratings/Reviews: This is an easy way to get your customer’s feedback on your product or service. Payment options: Users should be able to buy whatever they need from your app, without needing to go to the website. 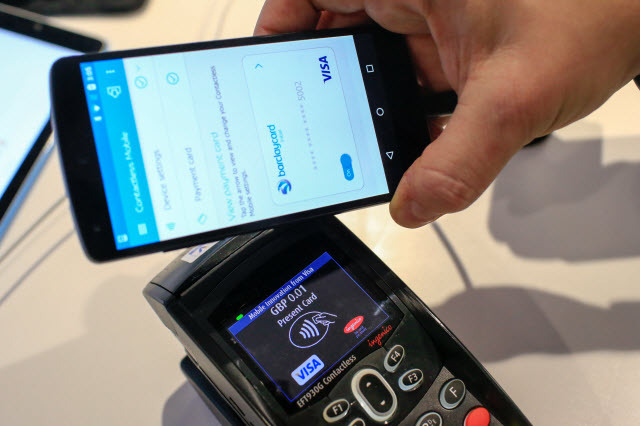 Integrating the app with payment systems like Apple Pay, Samsung Pay and so on, will make this possible. These are a few of the standard features we find in most apps, but there are many other for you to consider, but of course, the cost will also increase. The design of the app is not only how good it looks; it is how smoothly the app operates and how convenient and easy it is for the user. The design is one of the most important parts of building an app so don’t get lazy or neglect it, having a bare, basic design. There are many aspects to design, let’s start with the visual design. The visual design (frontend development) is how compelling your app looks, the better looking, the bigger the chances of users clicking on it. This is from the icon that appears to the user to the layout, buttons, and even the colors used. Another aspect is the UX design, users experience and how smoothly the app works. The user has to be able to easily navigate through the app, search, and get results. A good experience will increase customer engagement. And then there’s copywriting, which is appealing copy ads to trigger something inside the customer that gets them to purchase or sign up for a service. Designers are pretty expensive, even freelancers and usually charge a high hourly rate. The hourly rate can be as little as $50 per hour or as high as $250 per hour. After spending thousands of dollars on your app, you will want to make up for that cost and get revenue out of it. So the question is, how will this app make you money? Some apps are free and have the ad feature enabled to make money out of that or have in-app purchases, where sales are generated by the app. Some apps charge you a fee to download from the start. Most importantly, you need to figure out the best way to regain your money. For example, Angry Birds spent $140,000 to develop the app and made $70 billion within the first year. It is not enough to design and develop an app before launching it on App Store or Google Play. There are other steps afterward to enhance and maintain your app. These costs will vary from fixing bugs (after testing repeatedly), maintenance or updates needed on the app to improve it, legal procedures that need to be made like copyright to protect your content and media and trademark protection for your app name and logo. All these costs add up to a pretty significant number, research has shown that the cost of app maintenance is 20% of the development cost per year. 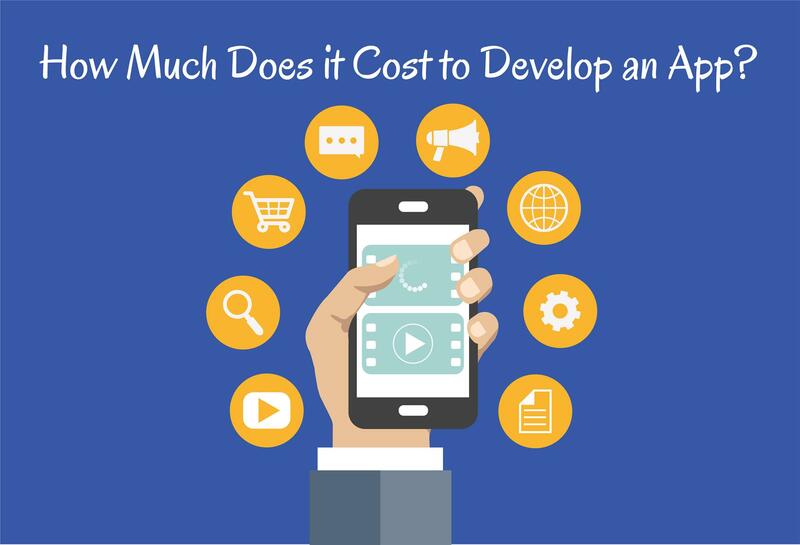 There’s no denying that developing and maintaining an app costs, a lot. Overall, an app can cost as low as $10,000 or as high as $300,000. It all depends on various factors like the features, design, functionality, and much more. © softxpert.com, 2019 - All rights reserved.